Let me start by saying we have the best neighborhood. Everyone is friendly, the kids all play outside together in what can best be described as the neighborhood gang. It doesn't matter if you're 2 or 12, you're included in sidewalk chalk and late night bonfires. So it wasn't a surprise last October when the doorbell rang late one night and we walked outside to find a basket full of Halloween goodies on our porch with a note saying we'd been BOO'd. The tradition continued again this year and it's the talk of the bus - who's been boo'd, who you want to boo, the kids get all excited and the adults do, too, because our BOO's include treats for everyone. It's easy to start BOO'ing in your neighborhood. 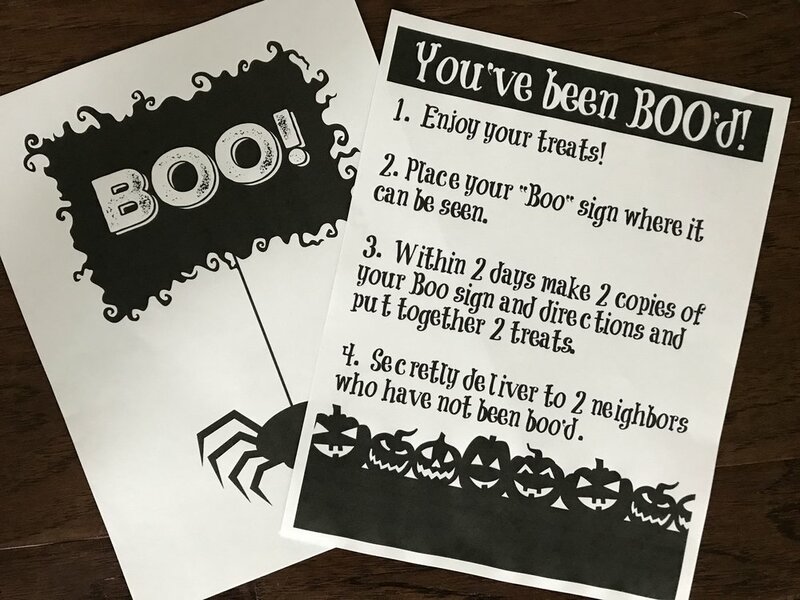 Just print out two copies of each of the below printables and put together two baskets for two neighbors. Here's a sample of what we did this year. Our BOO included two hard ciders for the parents, fun coozies, cat ears, glow bracelets, glow batons and some other fun surprises. We Went light on the candy since they'll be getting plenty soon enough! Everything is from the Halloween section at Target and cost $1-$3. 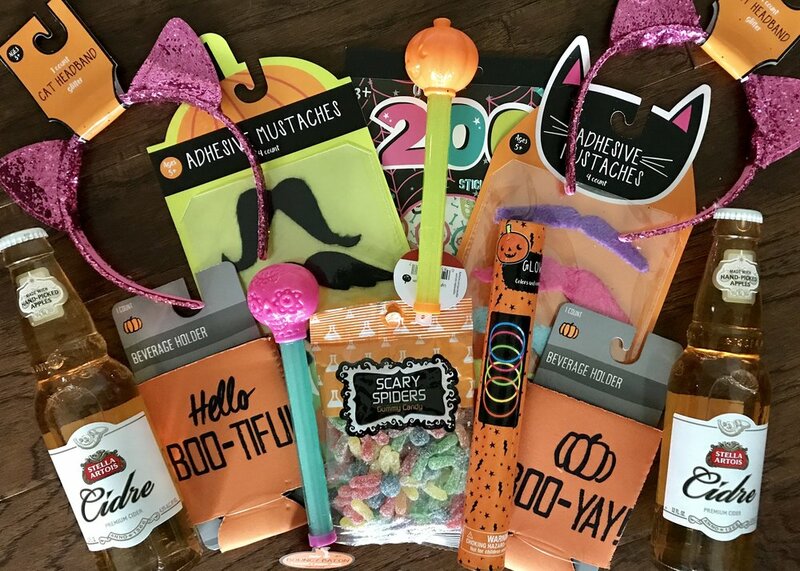 Our BOO included two hard ciders for the parents, fun coozies, cat ears, glow bracelets, glow batons and some other fun surprises. We Went light on the candy since they'll be getting plenty soon enough! Everything is from the Halloween section at Target and cost $1-$3. Are you ready to start this fun Halloween tradition in your neighborhood? Print 2 copies of each below (click the image to print) and get going! Print 2 copies and include in your BOO basket. Print 2 copies and include in the BOO basket.